New Delhi: Underlining its commitment towards community development and diversity, carmaker MG (Morris Garages) Motor India today signed an MoU (Memorandum of Understanding) with IIMPACT, an NGO engaged in providing quality education to the girl child through its learning centres in remote villages across the country. 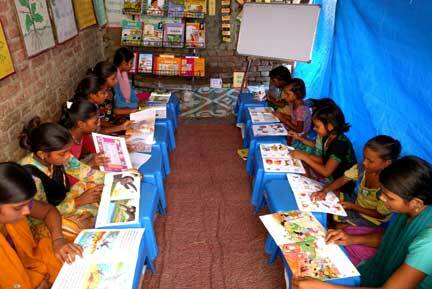 Under the programme, MG Motor India will adopt and support 30 learning centres run by the NGO across India. Founded by IIM alumnus, IIMPACT aims to reach out to the girl children from socially and economically disadvantaged backgrounds. Through the programme, MG Motor India plans to impart education with subject-wise classes up to 5th standard for a period of 5 years. The programme will endeavour to provide access to quality education to at least 1,000 girl children in 2019. To begin with, the programme will cover various centres in the remote districts of Haryana, Rajasthan, and Orissa. MG Motor India is a future-ready organization that is trying to set the industry benchmarks not only in terms of a young & smart work culture, but also in terms of diversity; female employees already account for 31 percent of the company’s total workforce, with plans to further increase the number of women hires in the future. With a focus on three key pillars of innovation, diversity and community, the carmaker is building a strong base for its future operations ahead of the MG Hector’s launch in Q2 2019.